Ever since we met Glenn Armstrong 4 years ago he has continually surprised us with his tenacity, persistence and creative thinking. Last night we saw a whole new side to Glenn that we know surprised many people in the room. Not only did he share about how to achieve your property goals using 'creative thinking' with the right team, he also shared how to make those dreams come true for real. With a full house last night of approx 275 people packed into our temporary venue, the energy was incredibly infectious with a lot of great laughter and fun in the room. Whether there are 27 people or 275 people, our aim is to make this a personal experience for everyone that attends. Thanks so much for the wonderful feedback in your emails – it's always appreciated to hear your thoughts. * And finally, to celebrate the Berkshire Property Meets 3rd Anniversary, we gave away a bottle of Champagne won by Ana! It really was a night for the ladies – well done! Those of you that have booked for BPM II this Thursday, with Glenn, you are in for an absolute treat! Please note we have now sold out for Thursday 22nd April. After their amazing sell-out Super Conference at the Islington Design Centre 2 weeks ago, having shared so much great content, they are now coming to the Berkshire Property Meet to share EVEN MORE! Who are Rob & Mark? They have bought over 230 properties since 2005 for themselves and their investors. 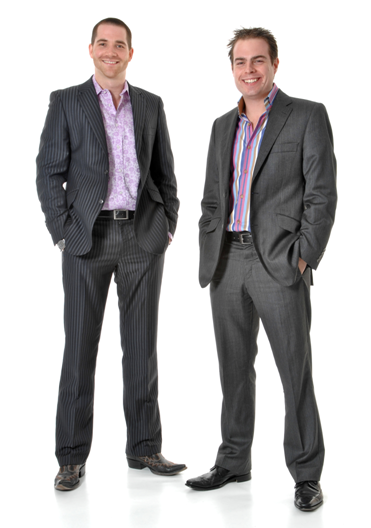 In 2006 Rob & Mark set about buying properties full time for themselves. They never actually intended to build one of the largest Property companies in the UK, they simply wanted to buy Property with big discounts & good cashflow for lifestyle choice. January 2009. Avoid the OH NO.. I was going to book tomorrow…book NOW! This new event certainly seems to have taken many people by storm. The Instant Wealth event has the same subtle elements as the Berkshire Property Meet – lots of content, incredible value and hosted by people of integrity. After the great success of their launch event in February and their second day in March, Glenn and Sylvia are holding their 3rd day on Sunday 25th April. Places are filling fast as people are re-booking and returning each month. Every month is different and will propel you forward in your property journey AND you will learn how to push past barriers, get rid of any negative chatter in your head and actually do what YOU want, not what others want! For a full day of property strategy with the UKs #1 Property Brain and a highly respected NLP Master Coach, see details below. Remember to Book Now for 17th May with Rob and Mark from Progressive Property. We will send out another email later this week with photos and further information. PS. Robert Kiyosaki (Rich Dad – Poor Dad) calls this the Business of the 21st Century. Have YOU found your P.erpetual I.ncome G.enerator? We have Find Out More.